Read part one of our Indonesian/Australian Trade Opportunities feature. As Australia looks to strengthen ties with new territories and the globalization of the world continues to change the way businesses view and project growth, relations between Indonesia and Australia are at an all-time high. The Indonesia-Australia Comprehensive Economic Partnership Agreement is projected to fuel hundreds of millions of dollars in growth between the two countries. Indeed, despite the size of their economies and prime location, Australia and Indonesia have a relatively modest trading relationship, with two-way trade at $16.8 billion in 2017-18. In the coming years, however, that figure is expected to snowball. Firms can capitalize on the territories’ growing trading relationship to maximize return on investment and boost their bottom lines. Learn some of the biggest trade opportunities available to businesses in Australia and Indonesia. Indonesia is the sixth-largest export market for Australian agriculture produce. Live cattle exports reach around AU$570 million each year. Indonesia is the sixth-largest export market for Australian agriculture produce, with goods accounting for more than half of all total exports to the country. 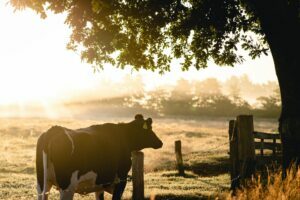 Some of the most popular exports include wheat (more than AU$1.1 billion exported per year), live cattle (AU$570 million), sugar, beef, raw cotton, and skim milk powder. Grapes, paper, and red meat exports have also seen a huge increase over the past ten years, with the latter contributing more than 24% towards growth in agricultural exports, according to the Department of Agriculture and Water Resources (DAWR). Companies with an interest in agriculture in Australia should measure the demand for high-quality products and remember to price competitively in order to stand up against Asian markets. Some may want to position their organizations as quality, luxury, or organic alternatives. Imports to Australia from Indonesia, on the other hand, are also continuing to climb and offer businesses new trade opportunities. Some of the most popular imports include plant extracts, cocoa, hardwood, and paper products. Indonesia is able to produce such goods more cost-effectively than possible in Australia. Reviewing your supply chains could help you to save on raw materials or commodities used for everyday business, like paper towels. Other popular goods exports to Indonesia from Australia include fuels. Whilst currently only responsible for a small proportion of Australia-Indonesia trade, there is a high demand for quality refined petroleum and crude petroleum in the country. In 2017, Indonesia imported $153 billion worth of goods from other nations, and almost 15% of those imports related to petrol, representing more than US$22 billion alone. With a strong petroleum industry in Western Australia and vast quantities of natural resources, opportunities will increase in this sector as tariffs bring down the costs of exporting and make Australian fuel competitive. Indonesia is the second most popular travel destination for holidaying Australians. Representing more than 60% of the country’s GDP, services play a significant role in the Australian economy. Trade with Indonesia will likely see an increase in investment in tourism, education, mining, engineering, and technology. According to the Department of Foreign Affairs and Trade, Indonesia’s services trade with Australia exploded from a $121 million deficit in 2005-06 to a $1.5 billion surplus in 2015-16, highlighting the significance of the sector and spotlighting businesses operating in the education and travel industries. Although there has been major growth in Australian education services in Indonesia and indeed Indonesian students choosing to study in Australia, higher education enrollments have fallen and so investment and marketing will be required to achieve a return. However, when you factor in Indonesia’s young population, with more than 65% of its population below the age of 35, there is a significant market for education providers in Australia. This is particularly so for Australian-registered training organizations looking to do business and operate in Indonesia. 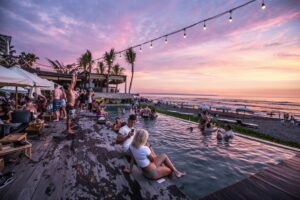 Travel is another key industry of growth and represents major opportunities; data shows that Indonesians spent $247 million in 2015-16 holidaying in Australia, and Indonesia remains the second-most popular travel destination for Australians. Businesses operating in the travel and tourism sector, and indeed those in hospitality, logistics, and recruitment, can all benefit from increased cross-country tourism with the right marketing strategy and value proposition. As sustainability and the environment become bigger topics, opportunities will naturally arise for firms looking to support sustainable development. Indonesia is looking to increase investment in infrastructure over the next twenty years, and public-private partnerships will enable businesses in Australia to benefit from sustainable energy investment. In addition, the Australian Research Council and the Australia-Indonesia Centre award contracts and ongoing work to businesses both in Australia and Indonesia. This collaboration further strengthens country ties and reduces environmental impacts. Australia is considered a gateway to Asia and its economies, and with their progressive attitude and approach towards green energy and the environment, significant opportunities are just around the corner. These projects can utilize Australia’s market knowledge and the growing demand for green energy not only in Indonesia but in the Asian powerhouse’s neighboring countries. Although home to a majority Muslim population, businesses in wine and pork can capitalize on the growing number of minorities in the country and sell quality pork and wine products to locals. Indeed, the Australian pork industry can help Indonesia meet food security goals and can supply breeder pigs into the country for home-grown production. Being mindful of the country’s self-sufficiency goals will allow for long-term beneficial trading relationships in meat and wine. At Biz Latin Hub, we offer a range of back-office services designed to help your organization strengthen ties in Australia and Indonesia. Our experienced and professional lawyers and business experts are on hand to issue guidance, support, and help you to strategize for the maximum returns on your investment, and to capitalize on the unique opportunities spawned from the Indonesia-Australia Comprehensive Economic Partnership Agreement. If you’d like to find out more or speak with a member of the team about your individual needs and requirements, send an email to [email protected] and we’ll get back to you with a personalized strategy designed to assist in your growth and ensure success into the future.